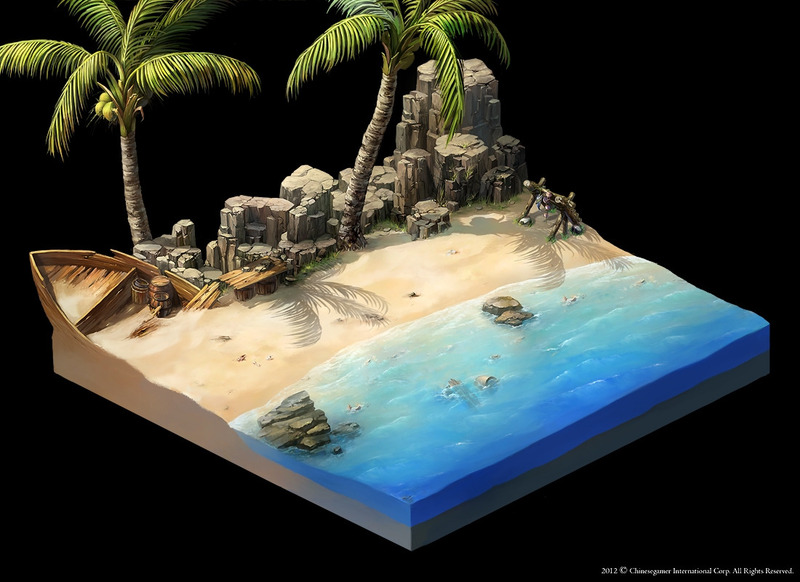 This is a small tropical beach diorama. 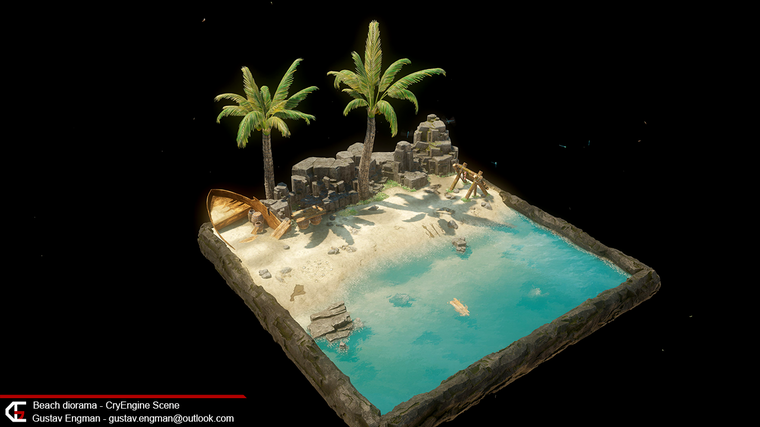 Running on CryEngine EaaS 3.6.12, this scene is completely PBR and my first one at that. I wanted to make a realistic yet fairly accurate interpretation of a concept art piece by ChangYuan Jou, in an attempt at get a better understanding of PBR textures and materials. You can view the concept art here. Click the images for larger versions. These images will be replaced once the project is completed. 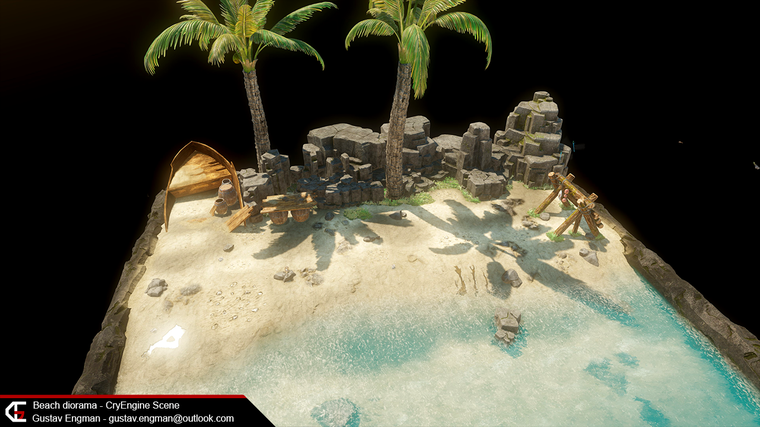 Here are some of the assets for this project, divided into rocks, vegetation and props. 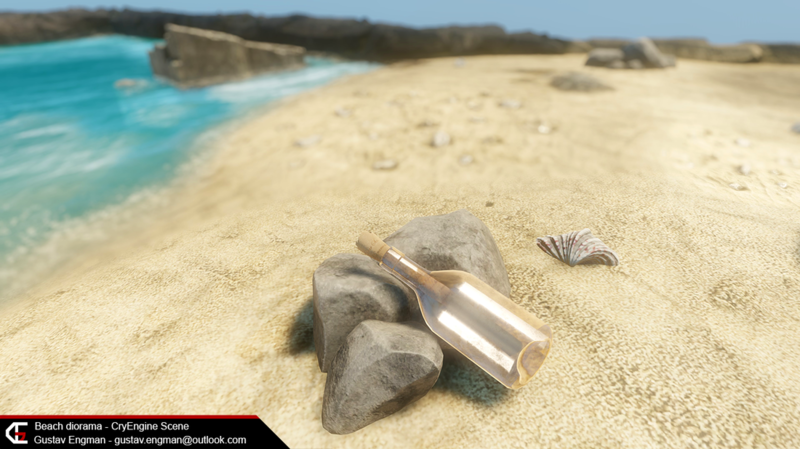 A boat, decals (pebbles, puddles and a little sandbank for the transition between the barrels, etc), a barricade, barrels, a bucket, a pot, a message in a bottle, a sea shell (next to the bottle) and some broken planks. Just a bunch of rocks. Palm tress with tessellated trunks! It might be more visible on the next screenshot. 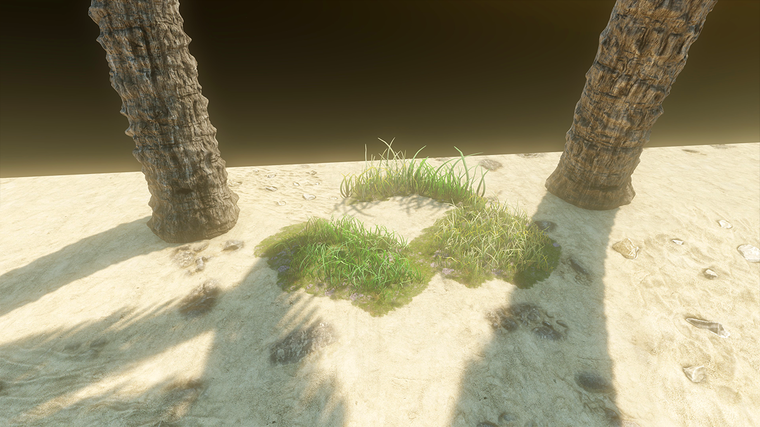 Two different grass patches and two sets of materials for variation (dry grass/green grass). 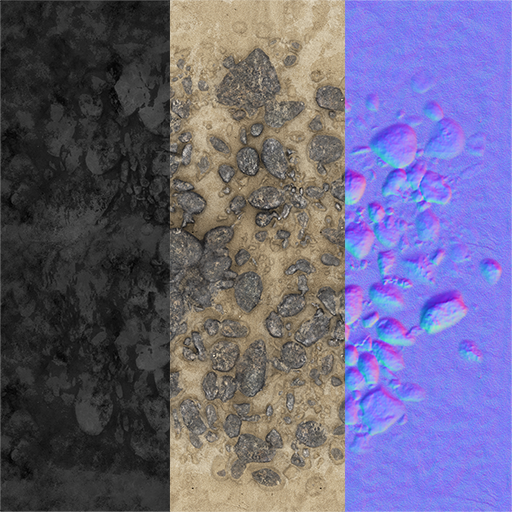 Here's the main tileable texture for the scene, the sand pebbles. It was sculpted in Zbrush, normals baked in xNormal and then textured using a combination of dDo and conventional texturing in Photoshop. For the final look in the engine I used a number of methods to achieve variation in brightness and pebble amount, such as Vertex colors, masking with blending (CE shader feature) and also POM for some height variation for the pebbles.